The Waverazor Dual Oscillator module brings our patent-pending oscillator design to Eurorack format. Waverazor's wave slicing synthesis presents a novel approach that splices waveforms into twisted and aggressive timbres. Featuring new sound generation techniques like Multi-Sync and Mutant AM, the Waverazor oscillator is perfect for biting leads, glitched-out basses, cinematic pads and everything in between. 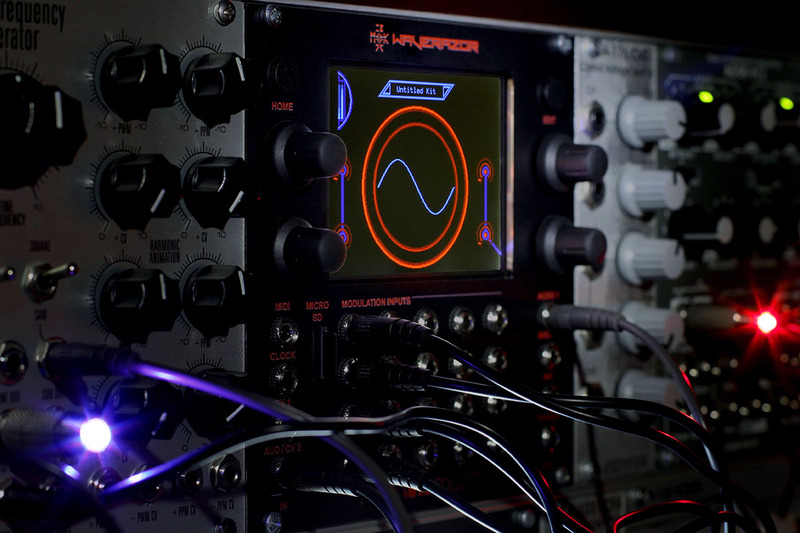 The Waverazor oscillator creates a multi-segment "Frankenstein" waveform that produces extended harmonic content. Each individual slice has independent control over wave pitch, volume, phase and DC offset, allowing a single oscillator to contain a multitude of timbral colors. Even the "Razor" itself can be adjusted, with parameters controlling its own slice frequency, step size multiplier and duty cycle. 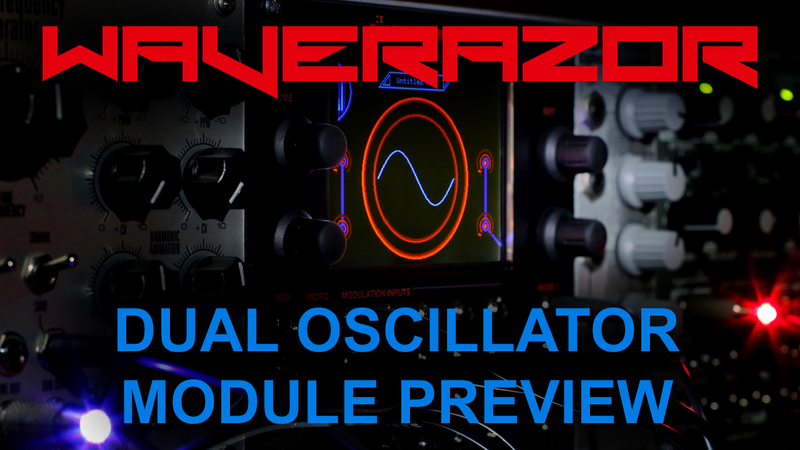 The Waverazor Dual Oscillator module provides a central waveform display that allows you to visualize the output. 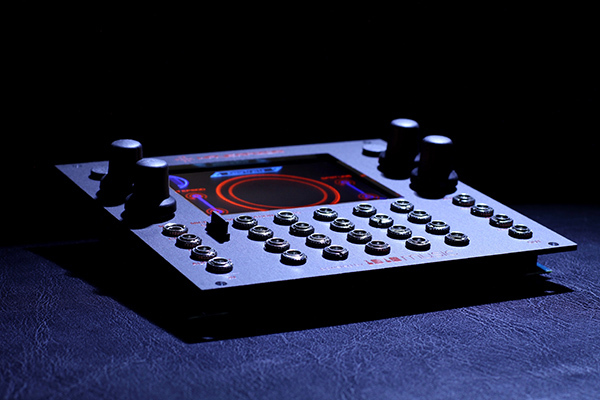 Four endless knobs make it possible to morph multiple parameters at once, while the touch screen enables X/Y performance controllers that allow you to manipulate the sound with the touch of a finger. We're so excited to share this preview of the upcoming Waverazor Dual Oscillator module, which brings MOK's patent-pending, wave slicing algorithm to the Eurorack modular world. It features XY macro control from its touchscreen display, an external audio input to the Razor for slicing up your own oscillators, and 22 CV inputs for extensive modulation.